We all know Leroy did. Ok last season I posted in his thread and asked people not to post anymore so his thread would disappear and it worked for months. Let’s do it again. nobody post anymore here, let’s beat last years record! 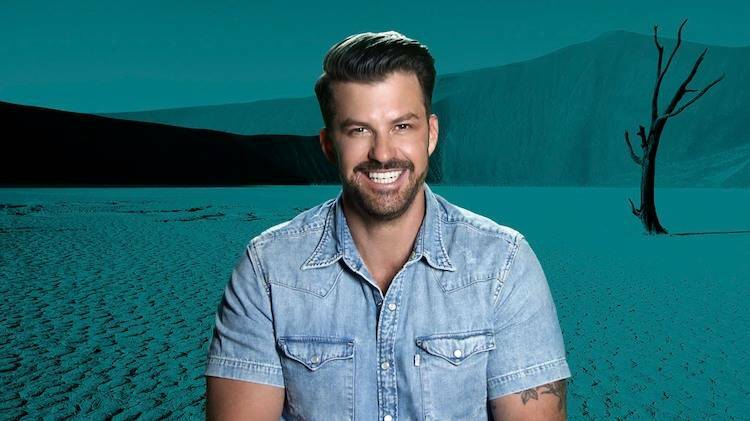 Johnny Bananas is true Challenge royalty, with 17 seasons and 6 wins under his belt – including his infamous Rivals III victory, in which he opted to take the entire $275K prize rather than split it with his partner Sarah. Notably, he hasn’t made it to a final since then, though that may be more a testament to his ever-expanding list of enemies. After a brutal backstabbing sent him into an elimination upset in Vendettas, Bananas made it to the cusp of the finals in Final Reckoning, only to be knocked out of the game by former flame Natalie. His ultimate focus is on returning to the winner’s circle and reaffirming his status as Challenge GOAT. In a game filled with enemies and hungry young upstarts gunning for his crown, this season may be Bananas’ greatest test yet." Didn´t he do his toast this time or did I just miss it? LMAO THEY REALLY DID HIM! I gagged tonight anytime he opened his mouth. His whole rivalry speech after choosing Wes-gag. 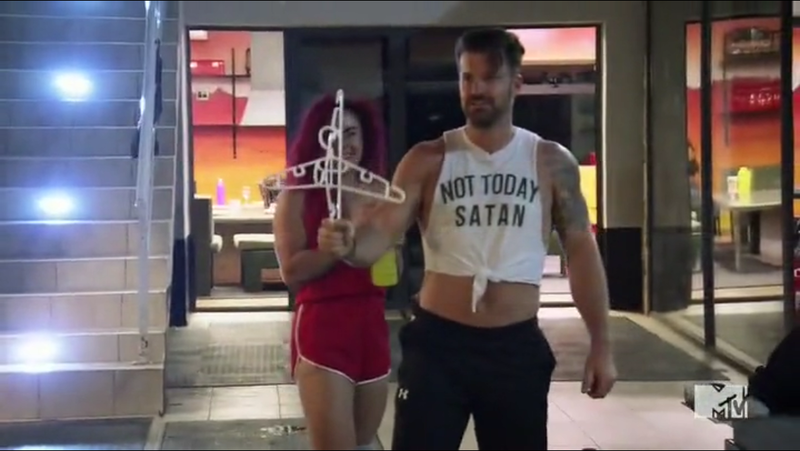 Him and Cara getting all giddy about him putting on that Evil be Gone (or whatever) shirt-gag. He really is grasping super hard at relevancy. His exorcism or whatever that **** was, was ridiculous, highly cringeworthy and tremendously unfunny. His character is way too played out, to the point he became disposable lately. He definitely needs to retire ! plus going after TYB on Twitter. He and Cara have no self-awareness at all. I haven’t really liked Johnny for many many years but I understood why they cast him as the face for the casuals. At this point his shtick is tired and sad. He is too old to behave this way, he isn’t funny, he’s a mediocre competitor that is past his prime. MTV needs to realize it is a new era and Johnny and Cara gotta go. Cara still does well on these shows which unfortunately validates keeping her around but John definitely has to go. Losing to Devin even if it was a puzzle should have been embarrassing enough. Most overrated champion of all time. Take away half of those wins gifted by production and he’s not that impressive. Cara’s storyline is complete, she was sold to us as the awkward outcast underdog. She is now a champion with an awful reputation but still trying to play the victim role. She really needs to retire or take time. She is clearly mentally unstable and this show is awful for her already fragile mental state. Well hell. 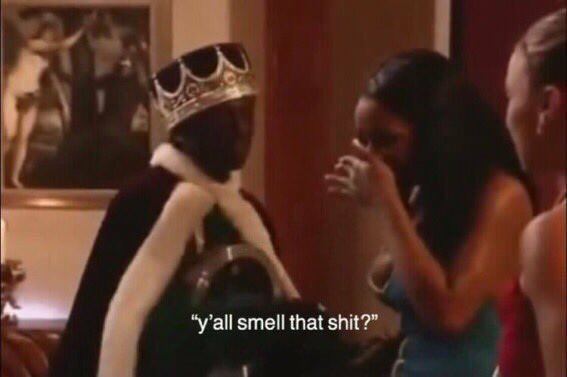 Guess Angela ain't the only thing we agree on..
Cara still does well on these shows which unfortunately validates keeping her around but John definitely has to go. Losing to Devin even if it was a puzzle should have been embarrassing enough. Most overrated champion of all time. Take away half of those wins gifted by production and he's not that impressive.